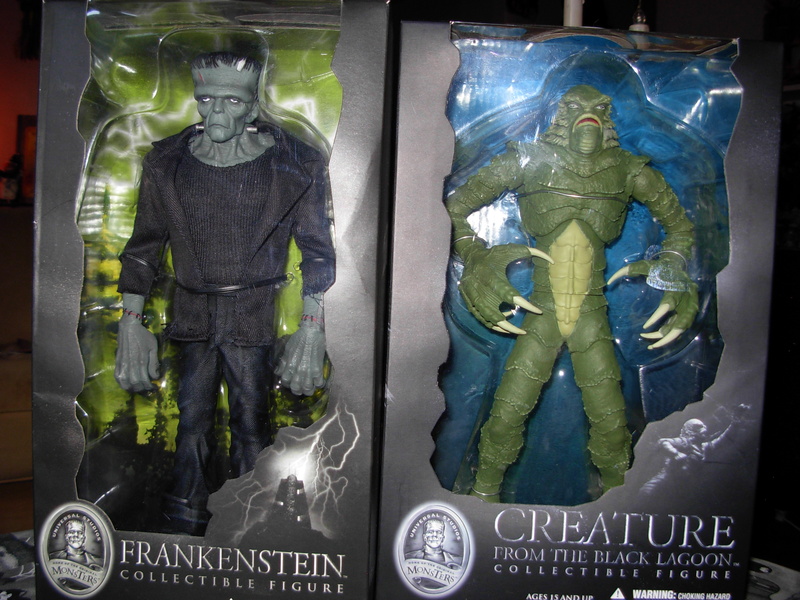 In the mid-2000s, the Bradford Exchange acquired the license to the Universal Studios Monsters and began to produce highly detailed collectibles based upon these timeless characters and their respective films. 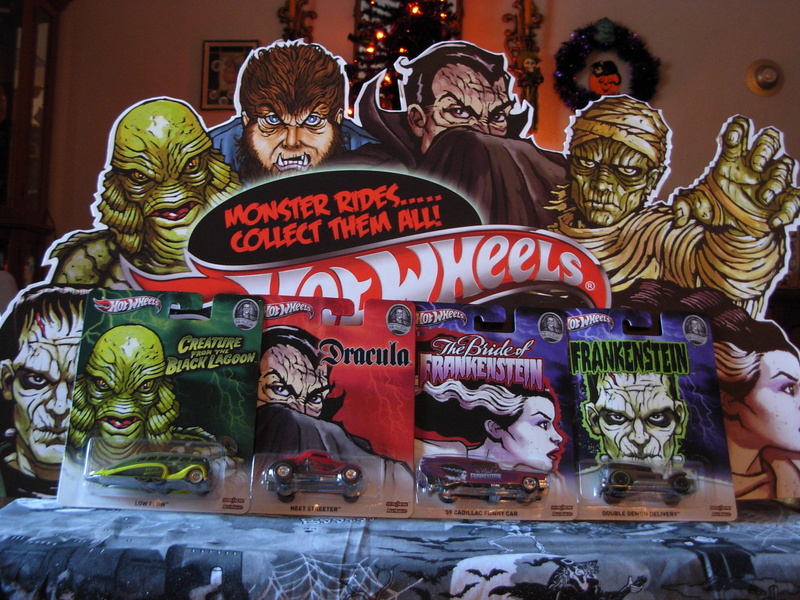 The company created a train set (featuring images of the Monsters), as well as miniature figurines, and, of course, a haunted holiday village comprised of several famous buildings and structures from the Universal Monster movies. The collection, part of the Hawthorne Village, could be obtained by purchasing a subscription, where a new 7″ building and scale figurine would be shipped every month. With the help of our Internet friends who own the collection, The Big Scare has compiled the following collector’s guide. Special thanks to Ms. Mapes for sharing photos of her collection with The Big Scare, and for allowing us to snap some of her very spooky scenes during our visit. 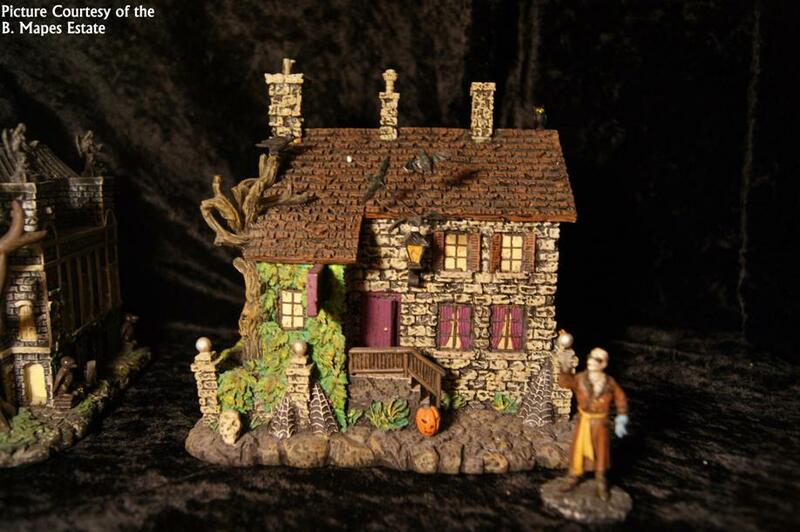 The first house in the collection is Frankenstein’s Laboratory. Like all the buildings, it measures about 7″ in height. The design is partially inspired by the lab as seen in the 1931 classic, but it takes influences from other famous movie structures as well. Bats and torches adorn the walls. And Fritz, Frankenstein’s mad assistant, can be seen peeking out from the window. 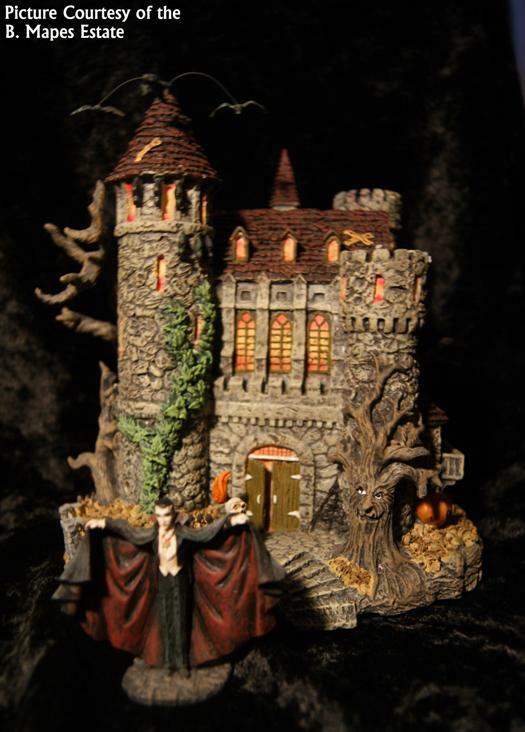 The second piece in the series is Dracula’s Castle. 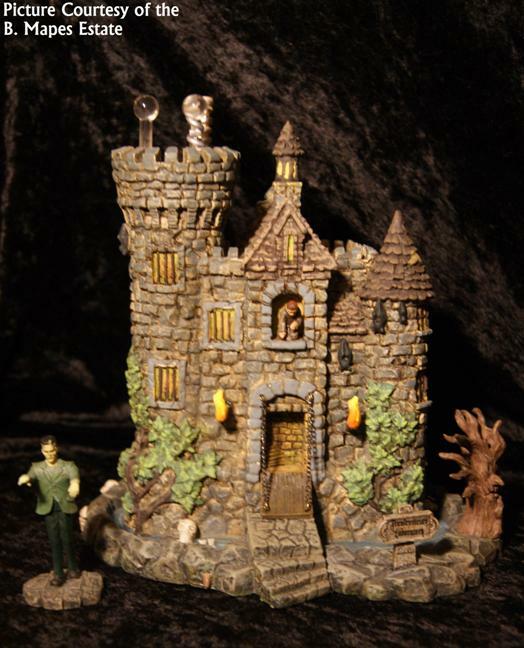 This one is almost completely inspired by the castle seen in the 1931 movie. It is very detailed. There are evil trees surrounding the property, vines climbing the walls, and dozens of bats – including some encircling the topmost tower. 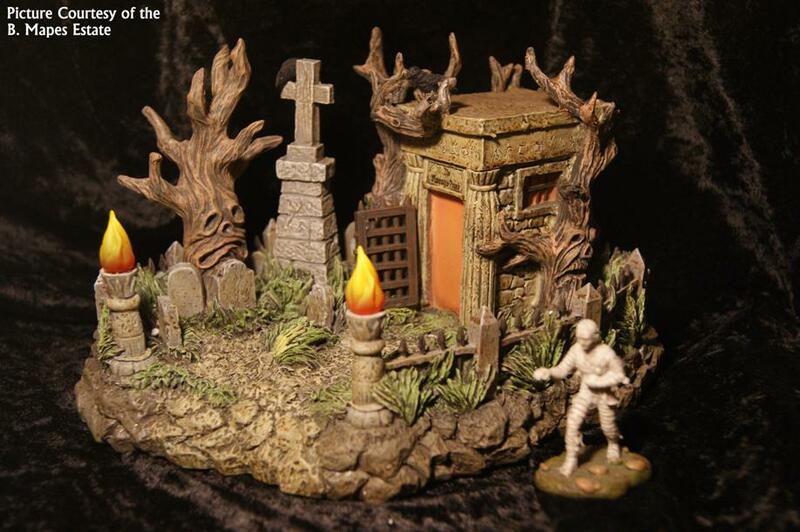 The next building in the collection is The Mummy’s Tomb. This one is very neat, because it has a whole area where you can display figures on the actual piece. You can position characters just outside the entrance to the tomb and all along the walkway. Of course, that makes for great scenes, especially when Kharis is involved! This one even has torches that light up! As you can tell by the photos, the Hawthorne Village pieces are very detailed, most of that detail comes from the delicate sculpting. Every shingle has texture. Every stone in the wall has depth. This is what sets these pieces apart from similar villages from the likes of Department 56 and Lemax. The paint schemes, however, fall somewhere between those of the detail-oriented Department 56 villages and the mass-produced application of Lemax. But they aren’t really anything to complain about, considering that these buildings are actually smaller than your average Lemax or Department 56 piece. Taking that into consideration, they are actually fairly good. The pieces don’t give off too much light, but that is where exterior ambiance lighting comes into play. And the Universal Monsters buildings lend themselves wonderfully to that! The Wolf Ma n’s Lair is the fifth structure in the collection. This one takes a lot of liberties, but it is one of the most desired of the collection nonetheless. 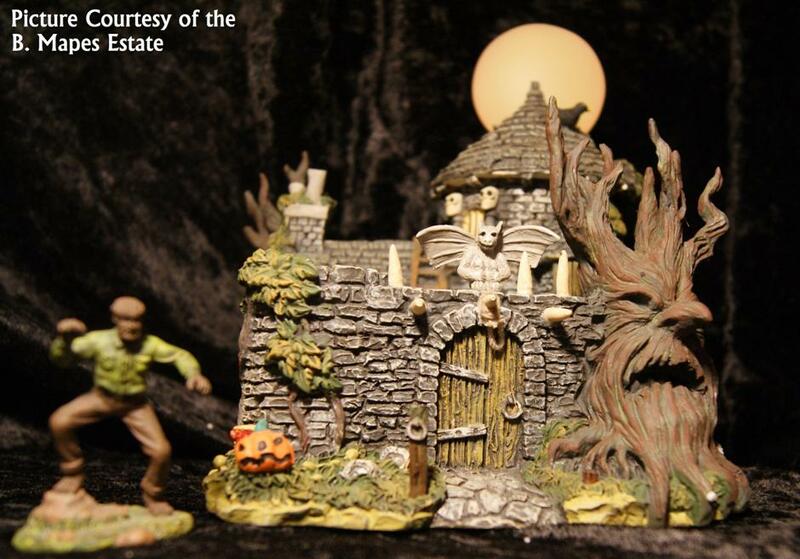 It comes complete with its own full moon and an interior courtyard that is perfect for making little scenes with the monster accessories. 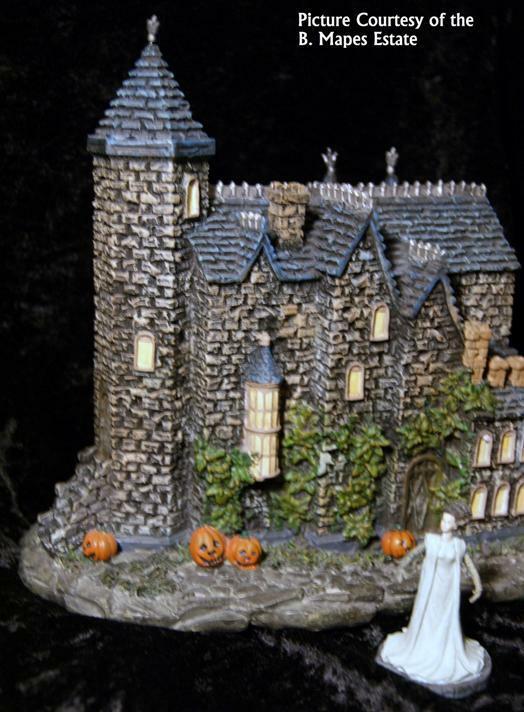 The seventh piece in the series is the Bride of Frankenstein’s Castle. This one lends itself well to the Gothic theme of the village. With its series of chimneys and vine-covered walls, it manages to combine the classy with the creepy, just like the Bride herself! This piece comes along with its own Bride of Frankenstein figure, striking a very familiar pose. The eighth structure in the collection is the very forbidding Phantom’s Paris Opera House. This building has the most unique design of all and is very detailed. It has a ton of windows, but the “stone” figures which adorn the roof are probably the most eye-catching decorations on this one! Issue number nine is The Invisible Man’s Inn. It is probably one of the most-detailed in the collection. The accessory that comes along with it, the Invisible Man himself, is also one of the best accessories in this village collection. He’s not all there – you can see through his hand! The final piece we will be showcasing comes from later on in the collection. 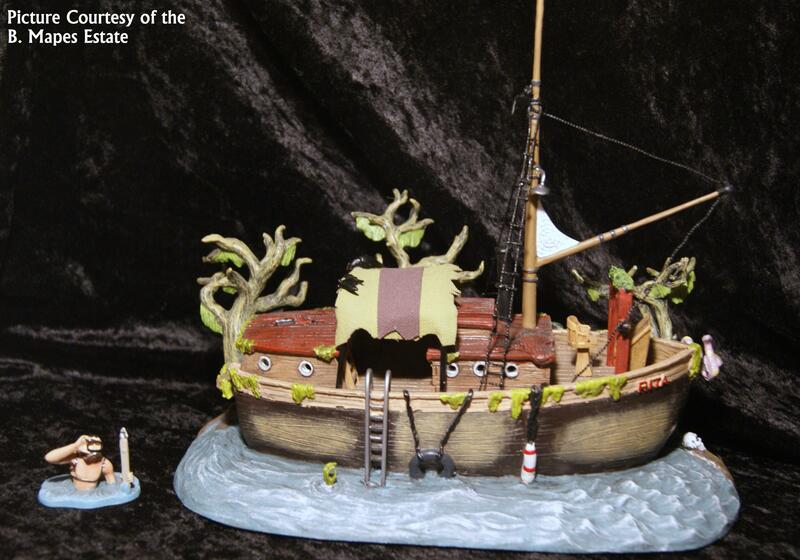 It is called the “Haunted Rita,” based on the boat of the same name in Creature from the Black Lagoon. Coming in at issue number sixteen, it is probably one of the most popular pieces – if only because it is one of the most iconic images from any Universal Monster film. Can you spot the Gill Man’s claw coming from out of the water? While the buildings themselves each came with a “free” accessory, the Bradford Exchange offered a separate line filled with additional figures and scene-setters. There were thirteen sets of figures released in total. Each set included two to four figures. The following list details the contents of each set. 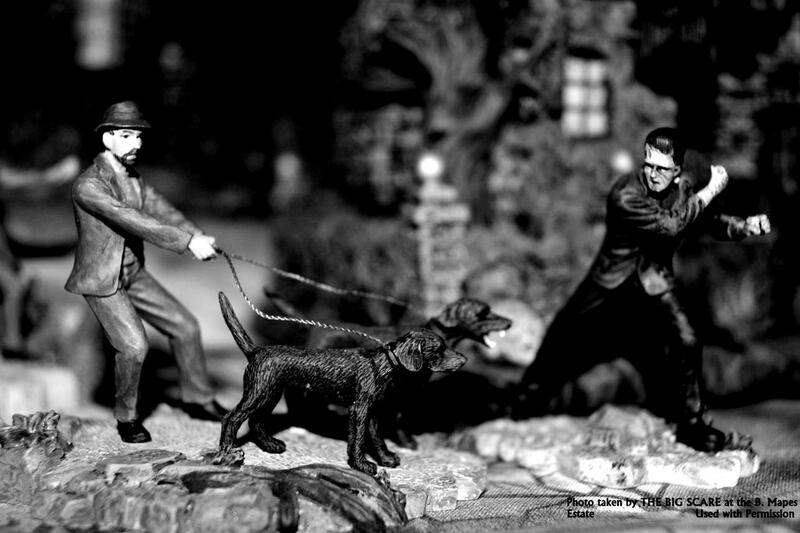 The figures are only a few inches tall, but they are jam-packed with detail. Take a look for yourself. 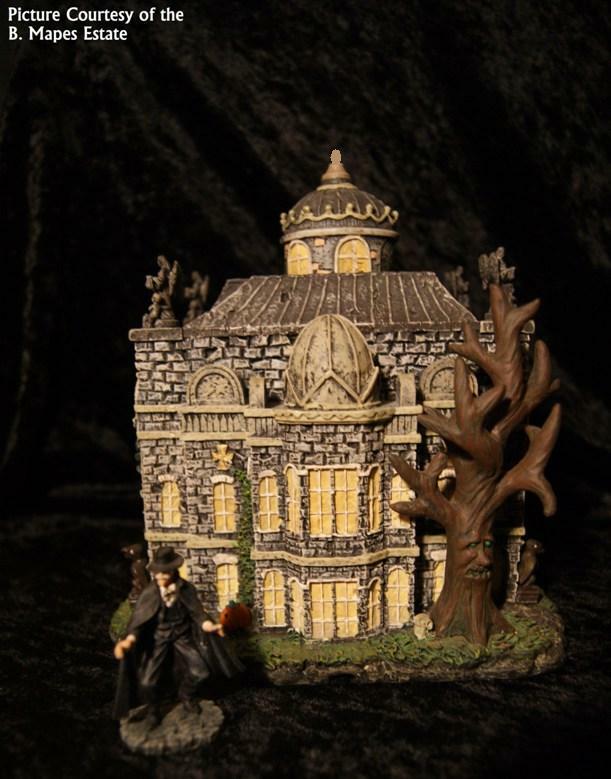 The second accessory set, Dracula Rises, features three different Dracula figures, all of which recreate scenes similar to those in the 1931 film starring Bela Lugosi. The fourth set, Black Lagoon, allows you to recreate thrilling scenes involving the Gill Man and his victim, Kay! This set is unique as there are a total of four figures. The fifth set contains two large pieces. You’d best Beware the Full Moon! Set Six is the one with the most characters, a whole mob of them in fact! Feast your eyes on Frankenstein’s Town Mob. The seventh release is another famous creation scene. This time, it’s the Bride of Frankenstein! Thank you, Ms. Mapes for sharing your collection with all of us! 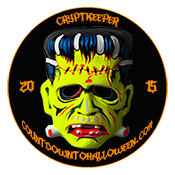 If you enjoyed this page, check out the other sections of the site for more articles about haunted villages, decorations, and, of course, the world famous Universal Studios Monsters! It had been two years since I last sat down to watch the Hammer classic Horror of Dracula (1958). It is a film I owned on VHS and never upgraded — not because I didn’t like the movie. Rather, because it was a film I always considered to be “just good enough.” It was “just good enough” to replay at Halloween every year or so, “just good enough” to enjoy as a time-filler. In other words, it never made my essential viewing list, quite unlike the original Dracula (1931) or Dracula: Prince of Darkness (1966). Upon re-watching it, I am unsure why. The film itself is rather well done. It takes the main story of the novel, condenses it, and creates an enjoyable product that has some truly memorable moments — to name one: the best Dracula death sequence in the history of film! But there’s something about it that causes me to take pause, to not fully love it as many fans of the genre do. Part of the problem is I had always viewed the title character in this version as little more than a glorified prop. By now, some of you are shocked and ready to delete this site from your bookmarks. But, allow me to explain. I love Christopher Lee, and I love his interpretation of Count Dracula. He is menacing, strong, powerful, and downright evil. But, in this film, he has very little screen-time. And while the main action revolves around him, we don’t see him that much. 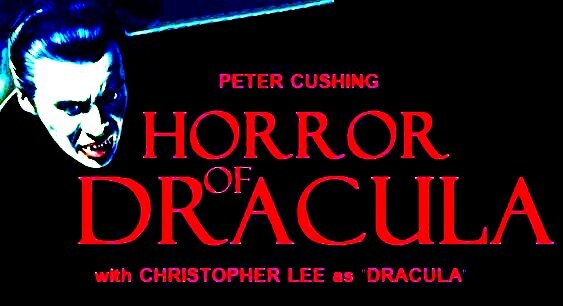 This film is very much a Peter Cushing movie — and I love Cushing, especially as Van Helsing; but there’s just something about the uneven screentime given the Count that doesn’t sit well with my Dracula-loving heart. After really thinking about it, the lack of Dracula actually makes this film closer to the novel than it would otherwise appear. Bram Stoker never featured his main character all that much, so why should this second film adaptation be any different? And I suppose that is why so many people give it a pass and automatically relegate it to “must see” status. Don’t misunderstand. Dracula is extremely effective the few minutes he is on screen – his fangs, his fierce expressions, the blood. The whole characterization marked a new chapter in the monster’s history. But with so little of him and so much of the rather bland Arthur Holmwood, the film had always been relegated to my stack of lesser-viewed films. Another reason I disliked the film was because of its rather claustrophobic settings. Nothing is grand or luxurious about this movie’s sets. Nothing convinces me that this demon Count is at all wealthy or that he lives in a castle. (The exterior shot of Dracula’s home doesn’t help change my mind.) It’s as if the director, Terence Fisher, never wanted his audience to experience a delusion of the Count’s grandeur. Nearly every scene has a very confined feel, and it is not to the film’s benefit. Unlike Universal’s rather grand approach to the material, complete with sweeping staircases and vast catacombs, Hammer’s version is small-scale in every sense of the word. And while this sometimes works well in the visual medium (think TV’s Dark Shadows), the close quarters here detract more than they add. So what made me change my mind about Horror of Dracula? Two things: First, the fact that this is virtually the first and last truly decent picture where Lee and Cushing face off in their most iconic Horror roles. Second: the iconography the film helped to create. This is the film in which Dracula sprouted his first real pair of fangs. This is the film that added a whole new level of Horror to the vampire legend. This is where blood and red eyes got their start. Despite all of its drawbacks, this is the one vampire film since Bela Lugosi’s original Dracula that actually helped redefine the genre. And so while my preference in the Hammer realm will always fall towards Dracula: Prince of Darkness (More on this in a week), Horror of Dracula has finally earned its rightful place on my “must-see” Halloween viewing list. 4.5 bats out of 5. Classic Horror Films Horror Movies	1958 bela lugosi blood christopher lee Classic Horror Count Dracula death scene Dracula fangs film hammer Hammer Horror Hammer Studios History of Horror Films horror Horror of Dracula Icon monster Monster Movie Monsters movie peter cushing review Vampire Van Helsing warner bros.
Halloween Home Entertainment Preview: Pet Sematary, Mad Monster Party, Meet Frankenstein, & More! This week, we have a complete lineup of the “must-have” home entertainment releases of the season. Check out our round-up below, and return tomorrow for our take on the upcoming release of the original Dark Shadows feature films on Blu-Ray and DVD. The 1989 adaptation of the Stephen King classic, Pet Sematary is coming to Blu-Ray on October 2! The film features Fred Gwynne, best known for portraying the lovable Herman Munster on the classic monster sitcom, The Munsters. Gwynne’s character is not quite as lovable in this, but his inner-Herman certainly shines through (at times). Over all, in our opinion, the story is both frightening and compelling, and we don’t think the classic theme by The Ramones can be beat… Let us know your thoughts. And read more about the film here. The Rankin/Bass animated classic Mad Monster Party was released on Blu-Ray disc for the first time on September 4. It’s a Blu-Ray/DVD combo pack, so you will receive both discs if you should decide to pick it up. The Disney Halloween cult classic Hocus-Pocus was also released on Blu-Ray disc on September 4. It also comes in a Blu-Ray/DVD combo pack. In addition, yesterday, we mentioned that Meet Frankenstein was not included in the Universal Monsters Blu-Ray collection, but the terrific film is available on Blu-Ray disc. It came out on August 28, another release in celebration of the Universal Studios centennial. It stars Bud Abbott, Lou Costello, Bela Lugosi and Lon Chaney Jr. The film follows the comedic duo and their hilarious encounter with Count Dracula, whose sinister plans are thwarted by the Wolf Man and an out-of-control Frankenstein Monster. You can purchase all of these Blu-Ray releases online, and some of them may pop up in a store near you! So be on the look-out! And now we want to know… What are your favorite Halloween films? Will you be picking them up on Blu-Ray? Share your thoughts in the comments section! *The pictures on this page are not from any film. They were taken by THE BIG SCARE.